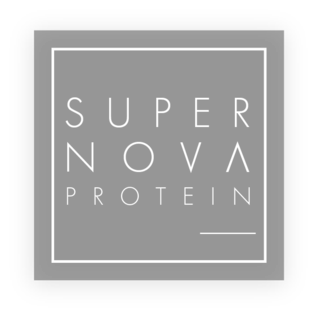 Why is Supernova Protein different? Organic ingredients? Specific performance premium adaptogens? Recyclable packaging? 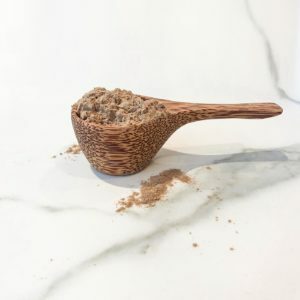 Coconut coir scoop to reduce plastic use? Developed with a Naturopathic Nutritionist and professional footballer? Absolutely no rubbish whatsoever? These products have been trialled on professional athletes for over a year before being manufactured. We demand only the very best and have meticulously been in touch with the suppliers around the world to ensure the processing of the ingredients is predominantly raw without the addition of chemicals, irradiation or genetically modified ingredients, hormones or antibiotics. We’ve done our own heavy metal testing to ensure they are below the EU regulations, we know the dangers heavy metals can cause. Most suppliers are baffled that we ask for this information, some have said in ten years of trading we have never been asked in such depth into the research of a product and others have said irradiated products are legal you just have to put it on the packaging!!!? No thanks. We’re passionate about plants and the power they can have over every body. It is a lifestyle for us not just a business. We live and breathe it everyday. We didn’t want to create something that we don’t want to take ourselves and we’re fussy. Very fussy. We want to make the incredible power of superfoods, medicinal mushrooms, adaptogens and nootropics easily available in just a couple of scoops, rather than a cupboard full of different expensive packages which you probably forget what you’re using them or need them for! We have tailored the powders a little to men and women purely due to their hormonal make up not their capabilities or stereotypical workout style. We have also developed Naked to cater to those who perhaps aren’t keen on the cacao, chocolate flavour or want a superpowder to add to baking, waffles, pancakes, breads or just for a neutral protein power hit to your existing smoothies. Something we do tend to forget, as it’s commonplace for us not to eat chemicals or preservatives, is that our protein powders are 100% natural. There are absolutely no preservatives, colours, fillers, gums, artificial flavours or even ‘natural flavours’ as we didn’t want to include maltodextrin which is the base for the majority of ‘natural flavours’. Wherever possible we have used organic products, our pea protein is made using organic peas but as they are fermented and sourced from a (small fair trade supplier) they haven’t certified it organic as it costs thousands and for small suppliers this is not always possible to gain the accreditation. We have done our own independant tests to ensure there are no chemicals in the powder. Click on each individual ingredient on our product page to read about their benefits and the research we have done to ensure they are the finest quality. Such as tree derived biologically active sulphur as opposed to chemical MSM and wild organic chaga to maintain the immense vibrational energy it contains growing on birch trees in the Northern hemisphere.